iLove you -- but iLove my Apple products more. More U.S. homes have Apple products than married couples or children, according to a recent CNBC poll. While half of all American households are now home to at least one Apple device, married couples made up 48 percent of U.S. households in 2010, according to data from the Brookings institution. Even fewer households -- 33.5 percent -- have children under 18, the 2010 Census revealed. Sure, it's a small difference. But it nonetheless underscores our attachment to our iDevices and the impressive reach of Apple's growing empire. These days, households with iPads, iPods, iPhones and other Apple creations outnumber traditional households: just 20 percent of U.S. households in 2011 had a married couple living with children, while 34 percent now own at least two Apple products. There's plenty of overlap, to be sure, and more than 60 percent of households that are home to an Apple product are also home to children. Here's one more stat to make you squirm (albeit from a decidedly unscientific study): 28 percent of iPhone users would rather go a week without seeing their significant other than give up their phone. 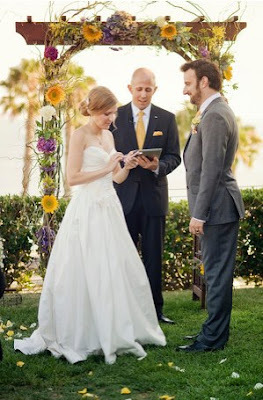 Facebook relationship status change to married during their wedding Sept. 3 in Long Beach, Calif.